Career Coders is a Medical Billing and Coding School. We prepare and train students to enter the Medical Billing and Coding field and assist students in obtaining their CPC certification through American Academy of Professional Coders or CMRS, CMCS through American Medical Billing Association. Career Coders, LLC was established in 2005, owned and operated by Melody S. Irvine from Loveland, Colorado. Melody has obtained nine national certifications in the medical billing and coding industry and worked in the field for over 38 years. Her past experience involved performing every position of multi-specialty physician’s office, and worked in the hospital environment. 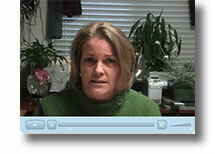 Her experience includes working in the insurance industry as a consultant. Her additional roles include involvement as AAPC National Advisory Board, AAPC Board of Directors and AMBA National Advisor Board. Her roles in these positions and organizations is to provide industry and regulatory education, networking opportunities to its members, and to be able to share information and ideas, to market member's abilities and professional services as a group. They offer medical billing specialist certification exam (CMRS) recognized nationally by billers, coders, employers and other entities. This organization was formed to provide assistance for doctor's office and independent professional medical billers with similar needs, interests and goals. All classes are online independent self-study programs. This format is a hands-on learning process that requires the student to actively participate during the class. It provides students with time and space to absorb the information presented and interactive instruction. Student can view classes at their own pace and have 4 months to complete the course. This format helps students with additional time to process and complete assignments, homework and assist them in developing their coding/billing skills. How is Career Coders self-study programs different from others? All recordings narrated online and instructor led which offers a superior learning experience. Some online program are not narrated and students are expected to read and decipher coding and other concepts on their own. Students have the option to rewind a section of the video to review a segment to confirm and understand a key concept that is presented. Vocational schools are designed to prepare the student to enter the Medical Billing and Coding career field. They are typically degree programs that include classes for accounting, business, computer skills, English, psychology, speech, career marketing, leadership and of course you medical billing/coding with medical terminology and anatomy. Career Coders is not a degree program and core classes are removed. We focus only on medical billing, coding, anatomy, medical terminology and prepare the student for a certification examination. Classroom time is approximately 110 hours (not including individual study time).understand a key concept that is presented. What if I have questions during my self-study course? Melody takes pride in getting back to students in a timely manner for any questions or support. She can be reached during the day, evening and even week-ends. There are no class schedules. Students can start classes at any time once they have completed enrollment forms and paid tuition. The course and start date is determined by date of orientation for class. Orientation with student takes approximately 10–15 minutes via phone or online instruction with each student with detail instruction of how to obtain assignments, listen to videos and perform testing. Click here to start your registration process. Once your registration information has been received by Career Coders, enrollment forms will be sent to you for completion. “As it became apparent that I needed a career change, I was recommended to Career Coders classes through the Work Force. They spoke very highly of her program and experience. I telephoned her with trepidation about whether I could really do this and after listening carefully to my story, she assured me I could. Her courses are excellent, her teaching interesting and personal, and her encouragement invaluable as I moved into my new career, which, by the way, I love! My only regret is that I didn't do it sooner! I was well prepared for my CPC exam and passed on my first attempt in April 2016, while already working as an Ophthalmology Coder. Click Here to See Class Descriptions! to see how our classes can benefit you! It's never to late to start a new career! April 2018 — U.S. Department of Labor reports the following, "Employment of health information technicians is projected to grow 13 percent from 2016 to 2026, faster than the average for all occupations. The demand for health services is expected to increase as the population ages." Attending Career Coders prepares you to take advantage of this opportunity — Enroll TODAY!